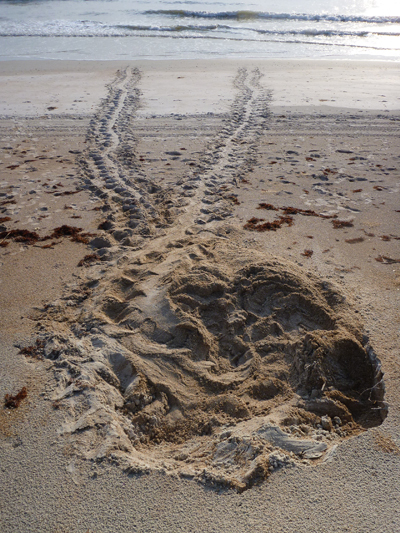 The mission of the Sunset Beach Turtle Watch Program (SSBTWP) is to record nesting sites, move nests that may be threatened by animals or water, record turtle hatches, and assist hatchlings as they attempt to reach the ocean. The turtle watch program is staffed by volunteers that walk the beach every morning, sit at nests when the hatchlings are ready to emerge, and conduct informational and educational programs. The informational programs - named "Turtle Time" - are free at 7 pm on Sunday evenings beginning in June and running during the nesting months at the Sunset Properties Parking lot - weather permitting. Educational programs are available on request. Loggerhead sea turtles are some of the most common visitors to the North Carolina Beaches. Although their population is more stable than that of other sea turtles, the Loggerhead is still considered a "threatened" species. This status grants protection under the U.S. Endangered Species Act (ESA). Click HERE to view the Sunset Beach Turtle Patrol Presentation (PPT Format). 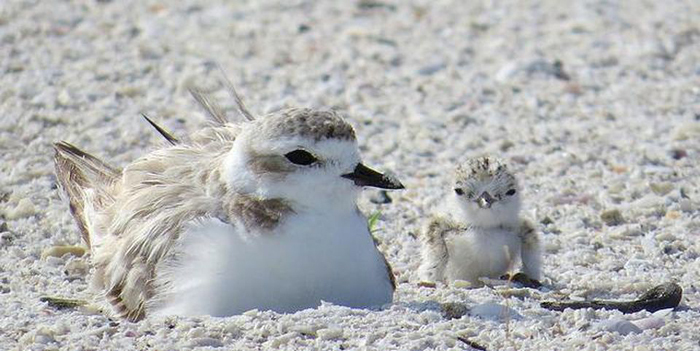 Click HERE to view a more information regarding how to help our local beach nesting birds (PDF format). Click HERE to view a printable NC Birding Trail Map & Guide inside Sunset Beach! (PDF format).